Do you listen to your inner child? As adults, we often become preoccupied with our “adult” roles and forget that despite the aging process, we were all once children. Your inner child is within you no matter how old you are, and this part now depends on your adult self for nurturing. If you struggle with mental health issues, even if it’s not depression with a capital D, your inner child may benefit from more nurturing. Many of us are guilty of neglecting our inner child. When one ignores, minimizes, or avoids the parts of oneself that hold painful memories or resists urges to cry, experiences intense emotions, or pushes away opportunities for connection and soothing, one’s inner child is being neglected. Over time, this behavior can lead to a lot of work during therapy sessions with a counselor to correct. If childhood wounds are not healed, they will often continue to reemerge throughout life, looking for one’s adult self to do the healing. Without taking steps to soothe one’s inner child, one might experience a sense of disconnect within oneself, problems within relationships, re-experiencing childhood trauma, and feeling unwanted emotional pain as an adult. When you work on building a healthy relationship with your inner child, either in therapy or outside of it, you will start to notice increased self-esteem, reduced symptoms of depression and anxiety, improved mental health, and you will start attracting and choosing healthier relationships with others. By taking these initial steps to identify, listen to, and connect with your inner child, you can begin to feel the powerful healing effects of strengthening this relationship within yourself. 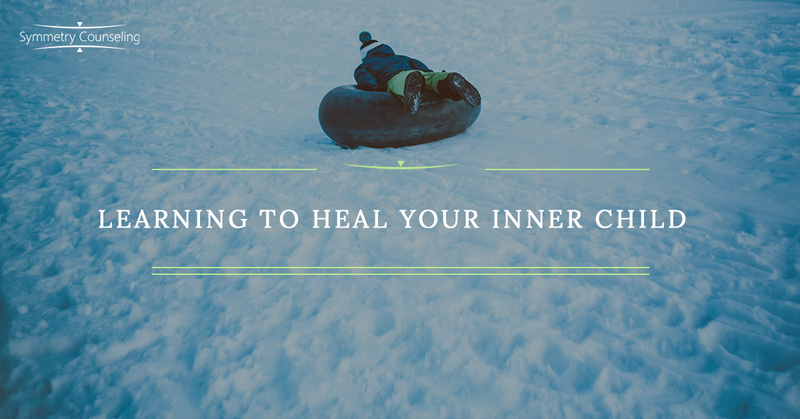 A wounded inner child is often the root of much of the emotional suffering we encounter as adults, and you have the power to nurture this part of you and feel healed deep from within. It is never too late to start listening to and loving your inner child. Whether your physical, emotional, and/or spiritual needs were met in your childhood or not, you as an adult can love and heal your own inner child. If you would like to work on healing your inner child and improving your mental health, please contact Symmetry Counseling to be linked with one of our clinicians. Request a therapy appointment at one of our two Chicago locations online or give us a call to get started.